Thyssenkrupp Industrial Solutions has signed a contract with OZ Minerals to supply crushing equipment to the Carrapateena copper-gold project in South Australia. The KB 54-67 crusher will be used underground for primary crushing of copper ore.
Its design offers reliability and low maintenance in everyday operation, according to Thyssenkrupp. 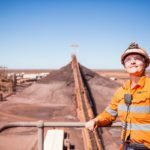 The equipment supplier has worked with OZ Minerals since 2008 when the mining company placed an initial order for two grinding mills for the Prominent Hill operation. 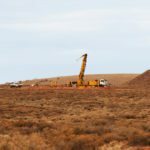 The Carrapateena site, 160 kilometres from Port Augusta in the Gawler Craton, remains under construction as OZ Minerals’ next major development in South Australia. 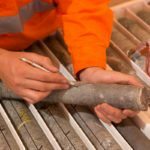 OZ Minerals expects to commission the operation later this year, with around 1000 jobs to be created during development.